This entry was posted in News and tagged Bill Skarsgard, It on February 12, 2017 by admin. A new trailer for Allegiant has been released featuring Bill Skarsgard, who makes his series debut in this, the third Divergent movie. Alexander’s War On Everyone co-star Theo James plays one of the lead roles. This entry was posted in Allegiant, Bill Skarsgard, News and tagged Allegiant, Bill Skarsgard on November 14, 2015 by Evie Red. 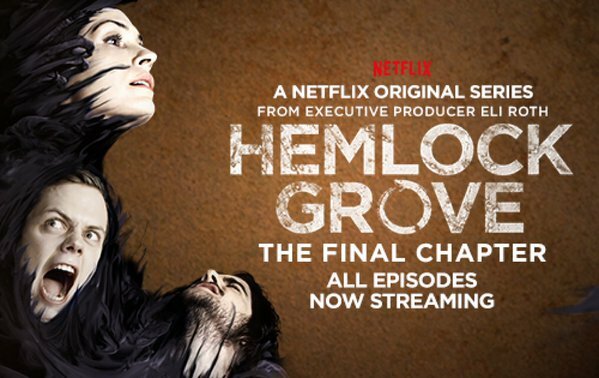 The 10-part third and final season of Bill Skarsgard’s supernatural show Hemlock Grove is now streaming on Netflix. 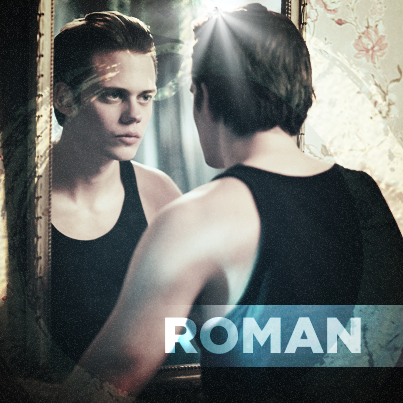 Tune in now to find out how the story ends for Roman Godfrey and Peter Rumancek. This entry was posted in Bill Skarsgard, Hemlock Grove and tagged Bill Skarsgard, Hemlock Grove on October 24, 2015 by Evie Red. 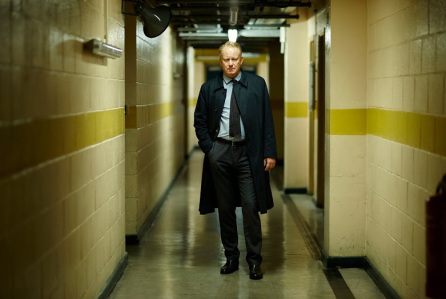 We do like to see a Skarsgard in a regular TV show, and Alexander’s father Stellan recently joined his sons on the small screen with the lead role in the BBC drama River. It’s already begun to air in the UK (and seems to be getting pretty good feedback so far), and now Netflix have acquired the show for international distribution. River will be available on Netflix from November 18 (except in the UK where it’s on BBC right now). 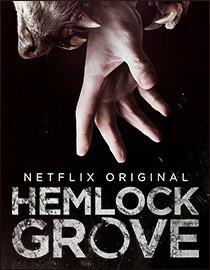 And don’t forget that the third and final season of Hemlock Grove starrring Bill Skarsgard will begin on Netlfix this Friday – October 23. This entry was posted in Bill Skarsgard, Hemlock Grove, River, Stellan Skarsgard and tagged Bill Skarsgard, Hemlock Grove, River, Stellan Skarsgard on October 18, 2015 by Evie Red. This entry was posted in Allegiant Part 1, Bill Skarsgard and tagged Allegiant, Bill Skarsgard on May 1, 2015 by Evie Red. 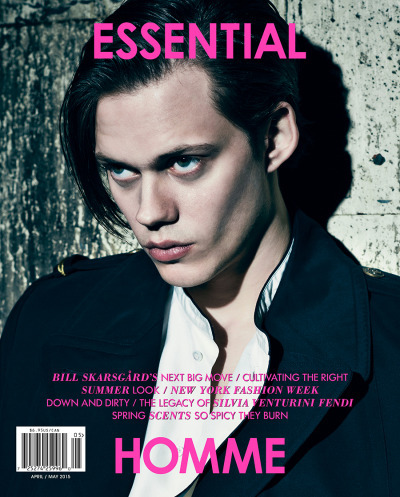 Bill Skarsgard in featured on the cover and inside the April / May issue of Essential Homme Magazine. This entry was posted in Bill Skarsgard and tagged Bill Skarsgard on April 13, 2015 by Evie Red. 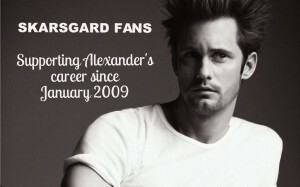 A little belated, but we hope Alexander Skarsgard fans had a very merry Christmas and a happy New Year! 2015 will be a strange year in the fandom, our first year here without Alexander’s regular TV show to look forward to over the summer months. We already miss Eric Northman desperately but hopefully there will be announcements about exciting new projects to come over the months ahead. Alexander’s new movie “Diary of a Teenage Girl” premiers at The Sundance Film Festival later this month, and we will be bringing you all the news around that. We still await any release details for “Hidden”, and hopefully later in the year we will start to see some publicity begin for “Tarzan The Untamed” (2016 release). This entry was posted in Alexander Skarsgard, Bill Skarsgard, Diary of a Teenage Girl, Gustaf Skarsgard, Sundance Film Festival and tagged Alexander Skargard, Bill Skarsgard, Gustaf Skarsgård on January 3, 2015 by Evie Red. 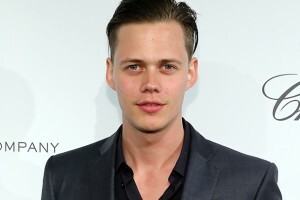 The Wrap has reported that Bill Skarsgard has been cast to star in Alison Eastwood’s new directorial project Battlecreek (a love story). 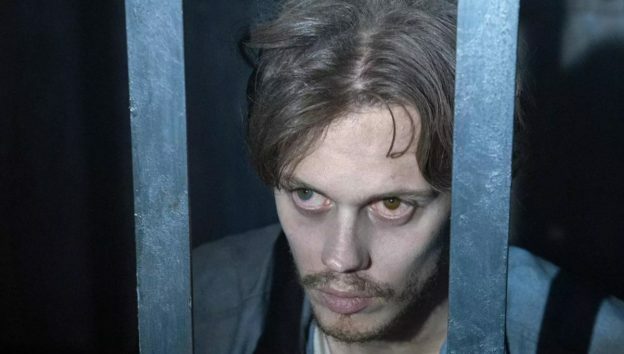 Bill Skarsgard (“Hemlock Grove”), Claire van der Boom (“Ruth & Alex”) and Paula Malcomson (“Ray Donovan”) are set to star in Alison Eastwood’s sophomore feature “Battlecreek,” TheWrap has learned. Connie Hoy is producing under her Maindiner Entertainment banner along with Eastwood, who has recruited her father Clint Eastwood’s long-time editor Gary Roach for the indie project. 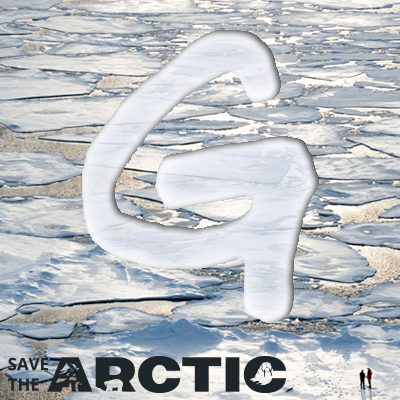 Red River Studios is financing the film, which will be executive produced by Red River’s Michael G. Wallace. 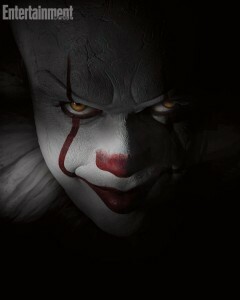 Production starts later this month in Mississippi. Written by Anthea Anka, the daughter of Paul Anka, “Battlecreek” is a love story about reconciling the past and finding your future. This entry was posted in Battlecreek, Bill Skarsgard and tagged Battlecreek, Bill Skarsgard on October 24, 2014 by Evie Red. 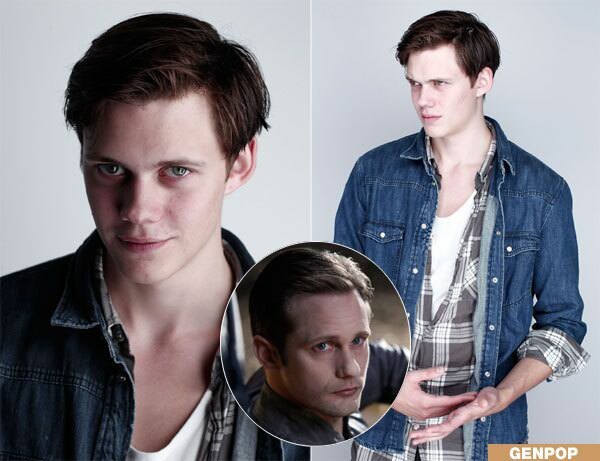 Yes Alexander’s brother – Bill Skarsgard is in this series. He’s in the image above looking a bit like Eric Northman! I can’t wait to see this panel at WonderCon. 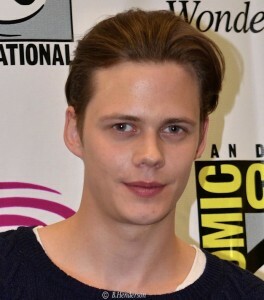 This entry was posted in News and tagged Bill Skarsgard, Hemlock Grove, WonderCon, WonderCon 2013 on March 25, 2013 by admin. Noomi Rapace and Bill Skarsgard are up for Swedish version of the Oscars awards, the Guldbagge. 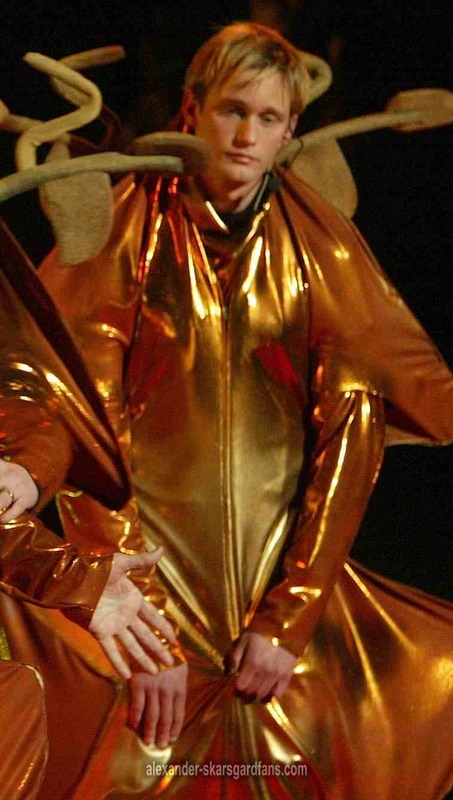 Bill’s portrayal of an Asperger’s Syndrome sufferer in the film “Simple Simon” has earned him the nomination. 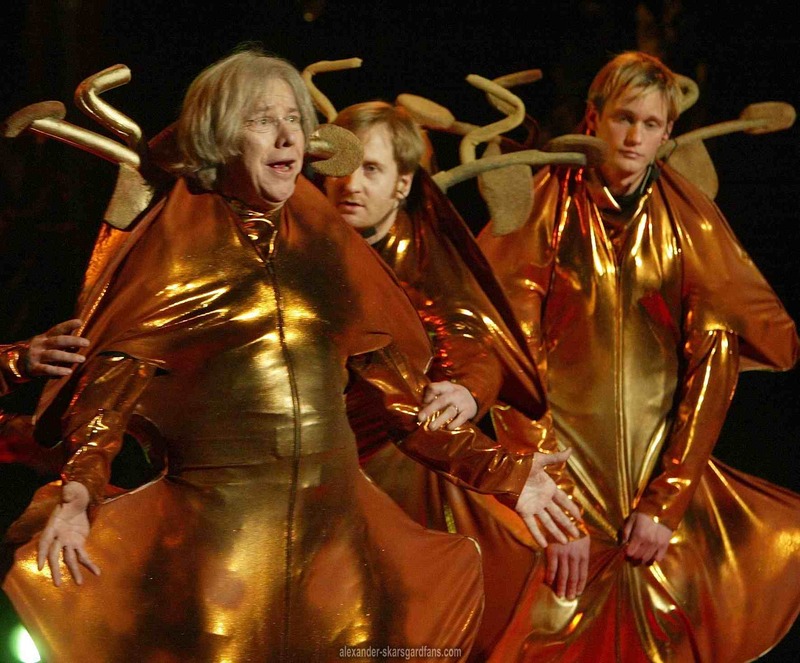 Alexander fans may recall this image above of his performance at the 2/13/2003 Guldbagge Awards ceremony. I just hope that Bill is a bit happier in his appearance. 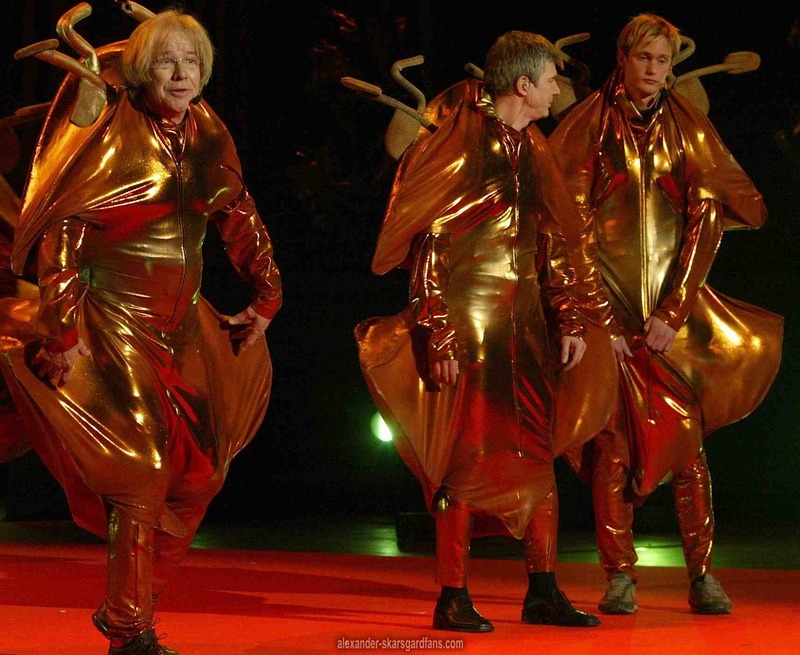 But I can’t blame Alexander that costume does not appear to be very comfortable. 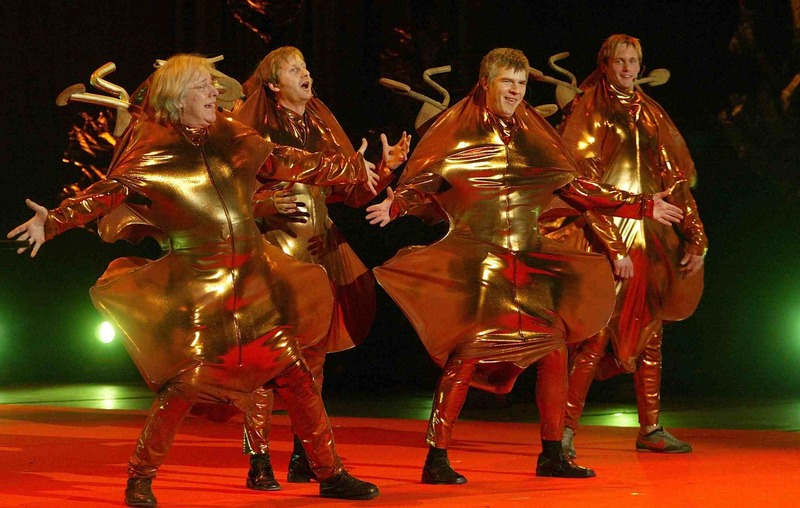 The rest of the images from that Guldbagge are below. SOURCE: Noomi Rapace – Rapace & Skarsgard’s Son Up For Swedish Oscars – Contactmusic News. This entry was posted in News and tagged Alexander Skarsgard family, Bill Skarsgard, Guldbagge, Noomi Rapace on January 8, 2011 by admin. Alexander Skarsgard’s brother Bill stars in Oscar entry, ‘Simple Simon’ – PopWrap. This entry was posted in Miscellaneous and tagged Alexander Skarsgard, Bill Skarsgard on September 13, 2010 by admin.